Fall is my favorite time of year, and I’m so excited to break out my cold weather gear! I’m just patiently waiting for Southern California to finally get cold. Lol. Until then, I will be here stocking my closet for future weather. 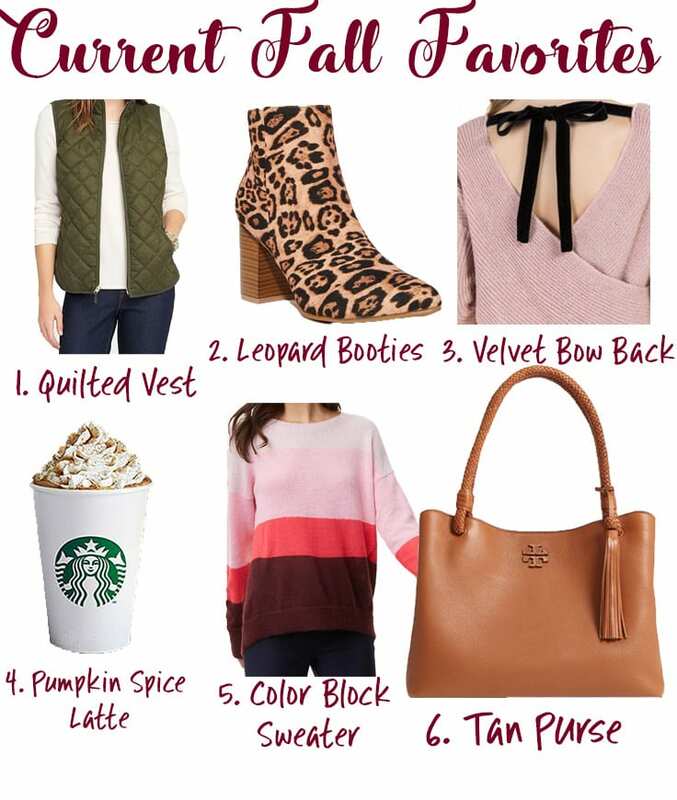 These are some of my favorite fall essentials! I love this classic look. I honestly don’t think the quilted vest will ever go out of style. The color olive is so hot right now, and I’m loving such a classic piece in this color. Plus, it’s under $40. If you haven’t noticed from all of my posts, I am OBSESSED with leopard right now. I love that it’s basically become a neutral in my wardrobe. These are so cute for a night out, or for running errands around town, and you really can’t beat the price! When I found this sweater online, I immediately knew I had to have it! I love bow back tops. I have more of them than I’d like to admit, but I’m loving the addition of the velvet trend with it. SO CUTE. There is nothing that screams fall more than one of these babies. I am that basic girl that goes the day they come back to get one, and I heard the whipped cream is even pumpkin flavored now! I’m giving away a Starbucks gift card below for all you Starbucks lovers! I have been seeing these everywhere, and I love this pink one! It’s the perfect mix of fall, but still bright and pretty. I just got this one in the mail, and I love it. Any excuse I can find to squeeze more pink into my wardrobe I’m all for. It’s also currently 40% off with code FALLFEST. I recently had a job change, and I’m now currently working from home. I love to hit up Panera or Starbucks to work on things to get out of the house a little, but I really needed a purse that could withstand the weight of my laptop. This one is in my cart right now, and it has such awesome reviews for how sturdy it is. I love that it is also perfect for an everyday purse as well. I also wanted to link to this blog post because they brought this dress back this year! It’s one of my favorites, and so flattering! Well, I hope you guys are all now just as excited for fall as I am! Loving these fall essentials? Click here now for more of my fashion favorites!! 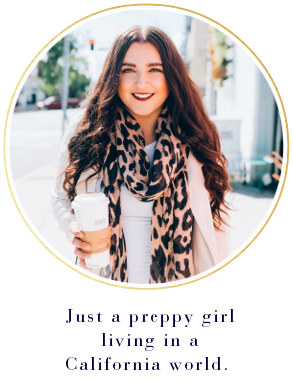 Pumpkin spice for me is a must for fall but I have been loving my blanket scarves, they are so adorable and I absolutely love using them as a blanket or as a big poofy scarf! For me, my fall must have is a simple Navy J. Crew vest along with some long sleeve sweaters and booties of course! I am loving cashmere wrap and tall boots. SWEATER WEATHERRRRR! <3 love these picks, so cute! I’m loving the cooler weather! I actually had to wear a hoodie this morning to drop the little off at school and I love it!!! All hail the quilted vest! I have like 5 of them in my closet. I’m loving that I only have to mow every other week instead of once a week or more! LOVE this post! I am loving some pumpkin bread right now! 🙂 Thanks for the giveaway! I’m loving dark/muted nail polish for fall right now.